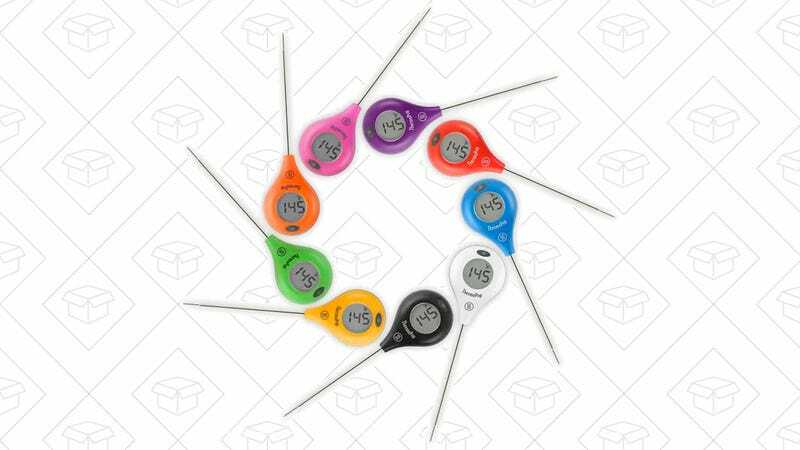 If you want to get one of our readers’ favorite meat thermometers, but are little turned off by the $75+ price tag, consider the Thermapen’s little brother, the ThermoPop. They’re on sale today for $20 a piece when you buy 2 or more. The ThermoPop displays the temperature slightly slower than the larger Thermapen (we’re talking the difference of a second here), and is accurate within 2°F. So, go ahead and pick one up for yourself and gift one to your foodie friends, this sale might not last long.